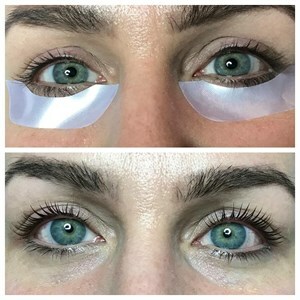 Lash Lifting is a wonderful and safe treatment to amplify your natural lashes and give the look of lash extensions without the glue and no down time. A lash tint can make them darker as well so that it looks like you have mascara on all the time! A formaldehyde free perming solution maximizes the curl and "uprightness" of your lashes. 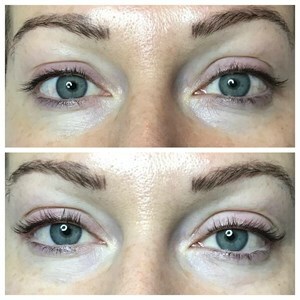 The lash tint makes them darker so that it looks like you have mascara on all the time! It is completely safe to shower and apply make up with no down time. It lasts for up to 8 weeks and it's recommend that you get your re-lift around 7 weeks. A formaldehyde free perming solution maximizes the curl and "uprightness" of your lashes. It also only takes 45-minutes to 1 hour for this service.